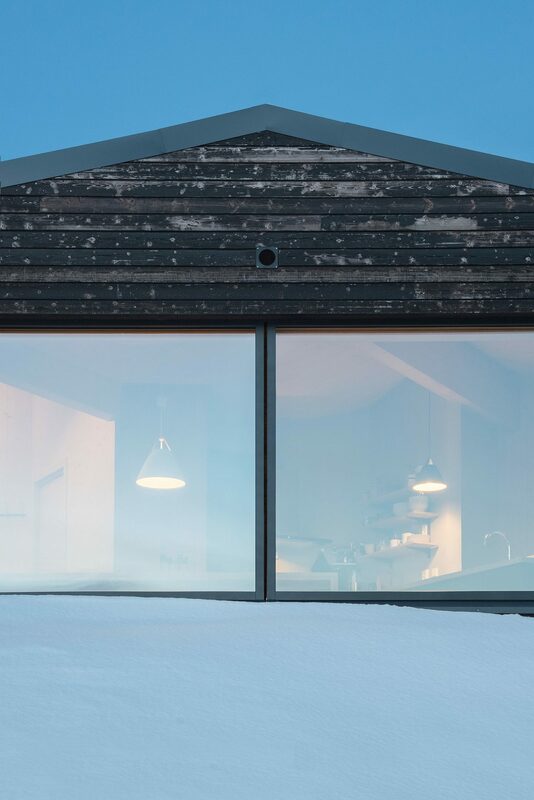 Winter might be taking its toll on you and the snow outside just never seems to go away. 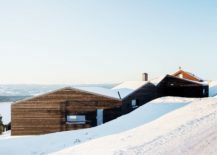 It is precisely in these moments that one is drawn to the charm and warmth of a beautiful cabin next to snow-clad slopes! 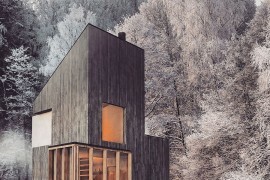 These cozy, comfortable and modern escapes take you away from constant rush and allow you to enjoy a hot drink or four while admiring the view outside. 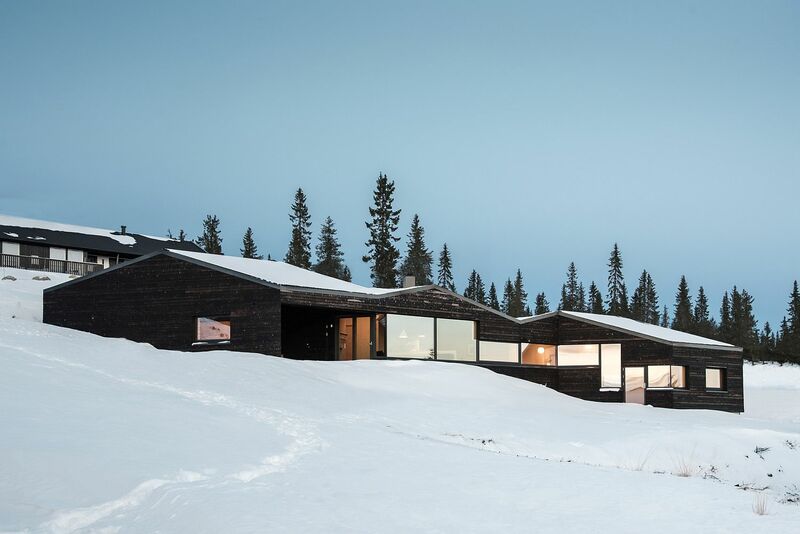 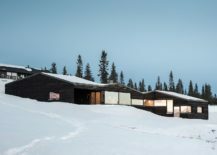 Nestled in an area renowned for cross-country skiing, Cabin Sjusjøen finds an exquisite balance between modern minimalism and classic Scandinavian design. 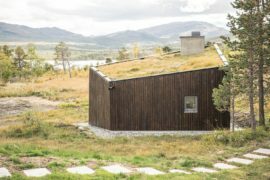 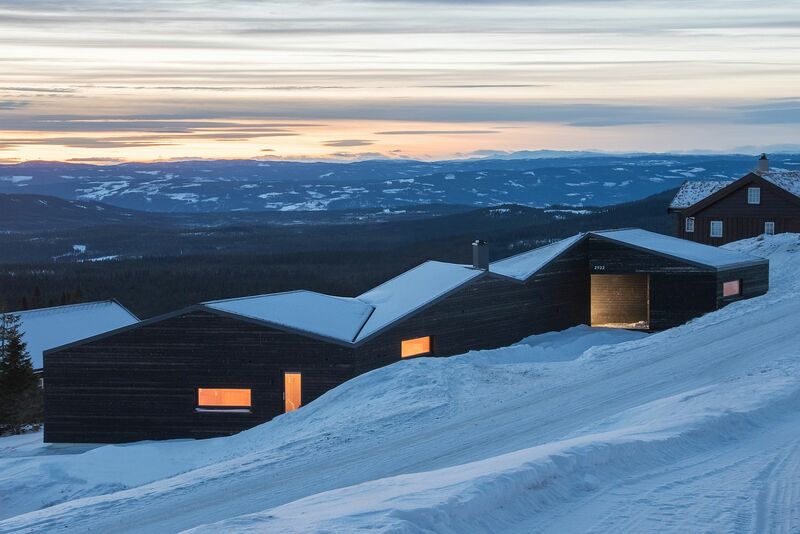 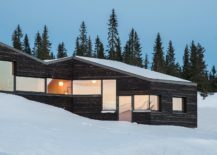 Designed by Aslak Haanshuus Arkitekter, the cabin is made of 12 triangular planes and its sheltered, L-shaped ends keep the interior toasty warm! 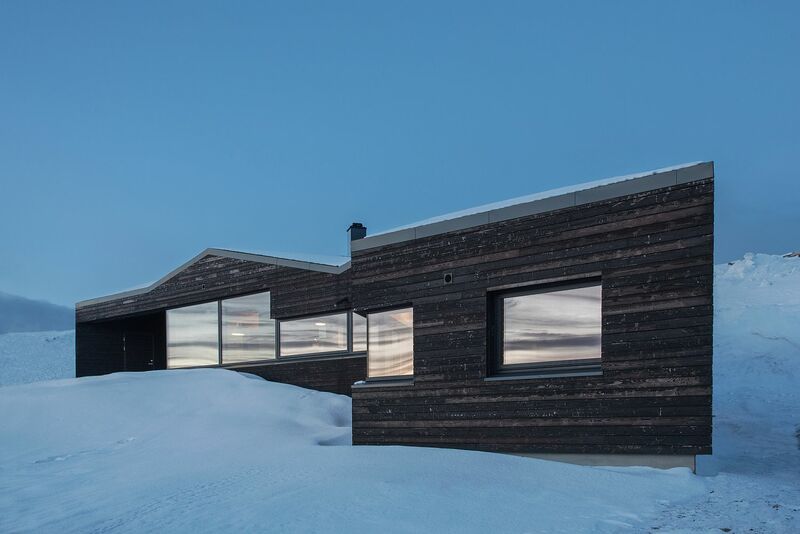 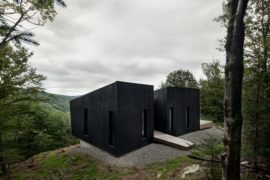 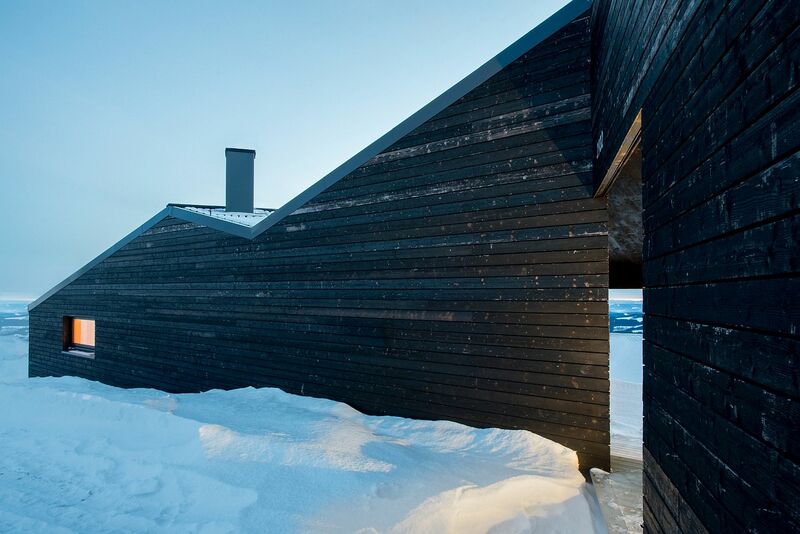 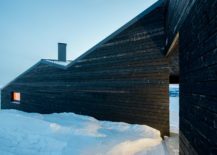 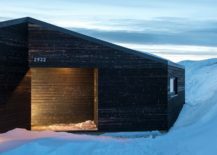 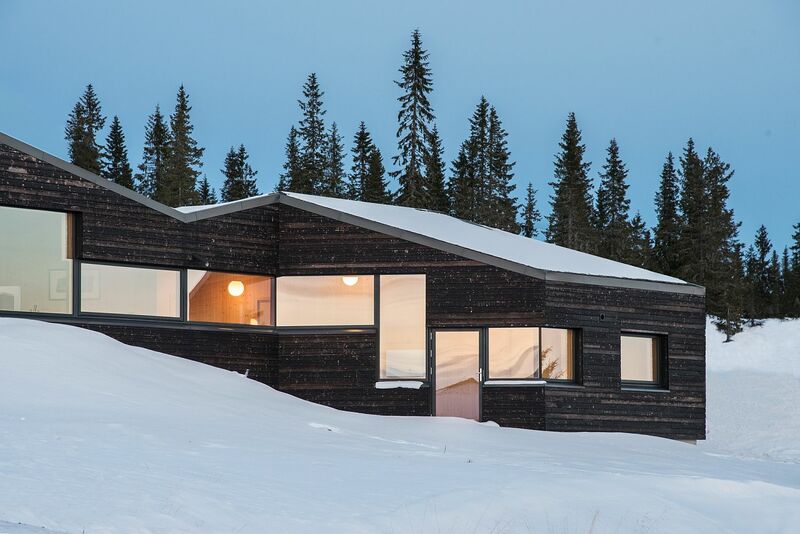 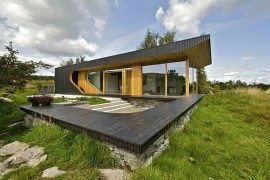 The most striking feature of the cabin from a distance is definitely is carbonized wooden board exterior that stands out even more thanks to the snowy slopes. 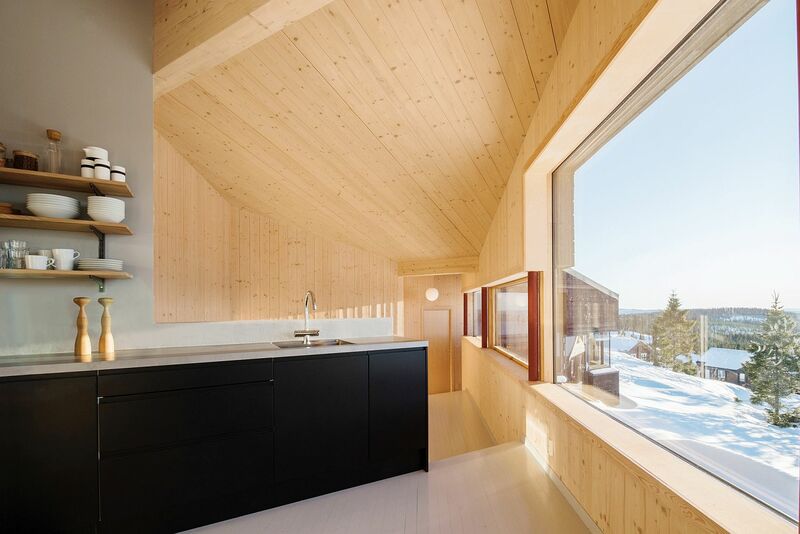 Despite its minimal form, the interior is inviting and tasteful. A dark kitchen island, ample storage and shelf space along with Scandinavian style décor ensure that your stay here is pleasant and hassle-free. 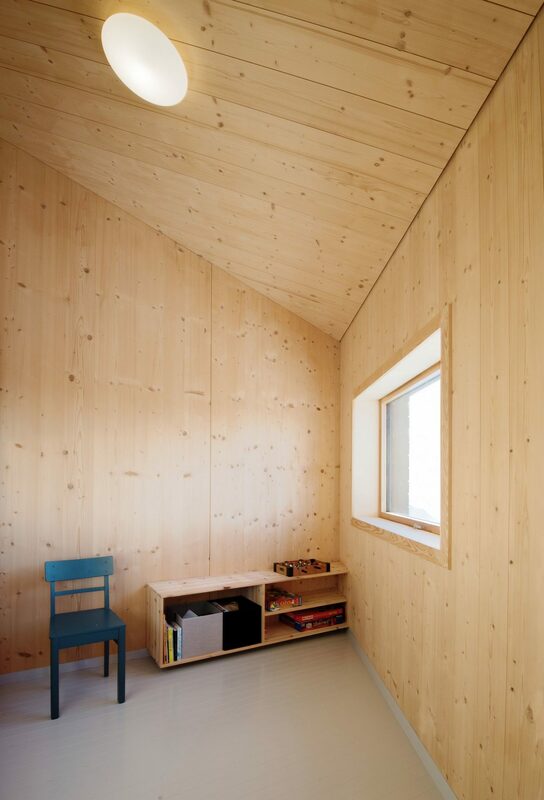 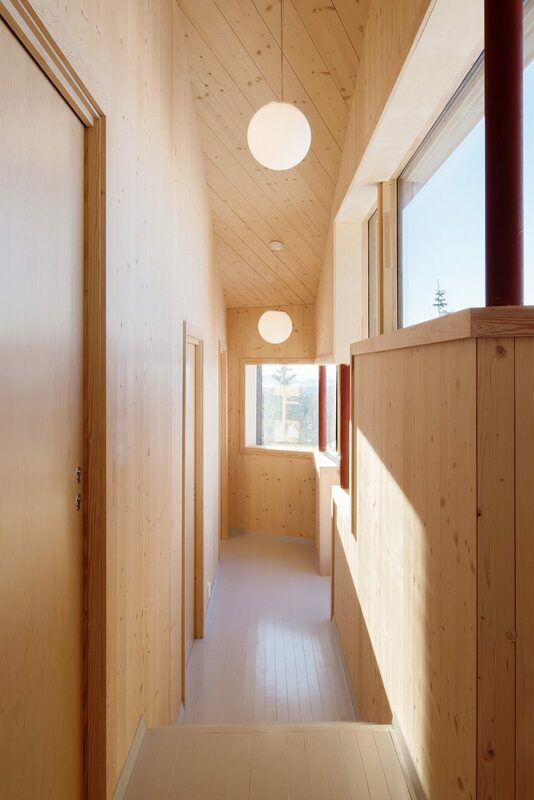 Prefabricated wooden elements inside the cabin present a lighter tone. 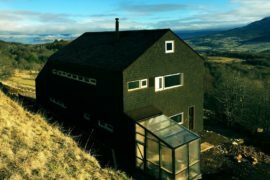 A series of continuous windows open up the shelter towards the views outside with top-notch insulation keeping out the chills. 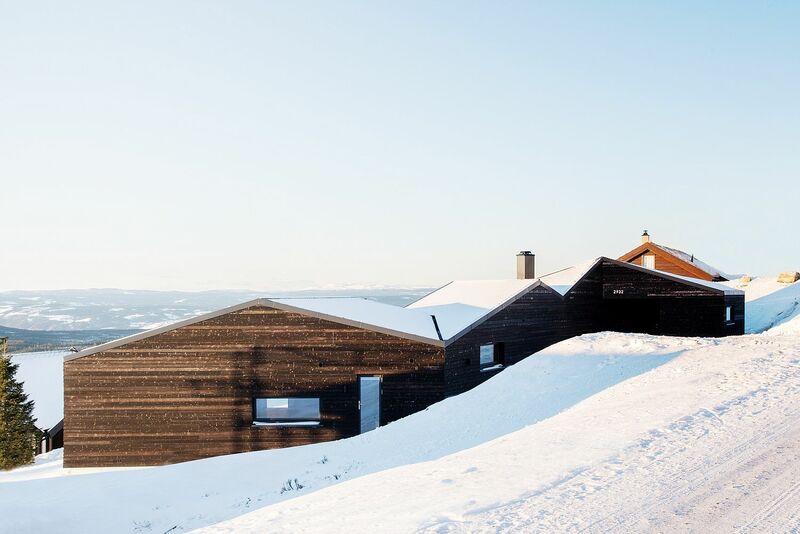 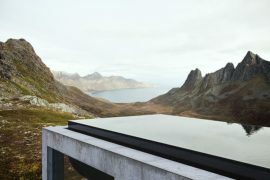 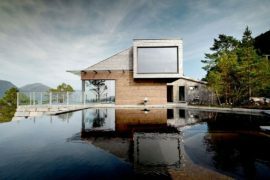 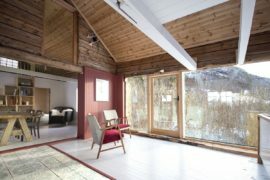 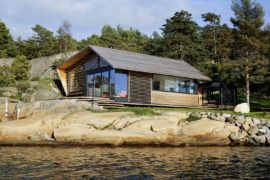 Strong winds from the north are all too common in this region of Norway and the cabin’s orientation and overall form specifically ensure that the wind does not damage the property in any form. 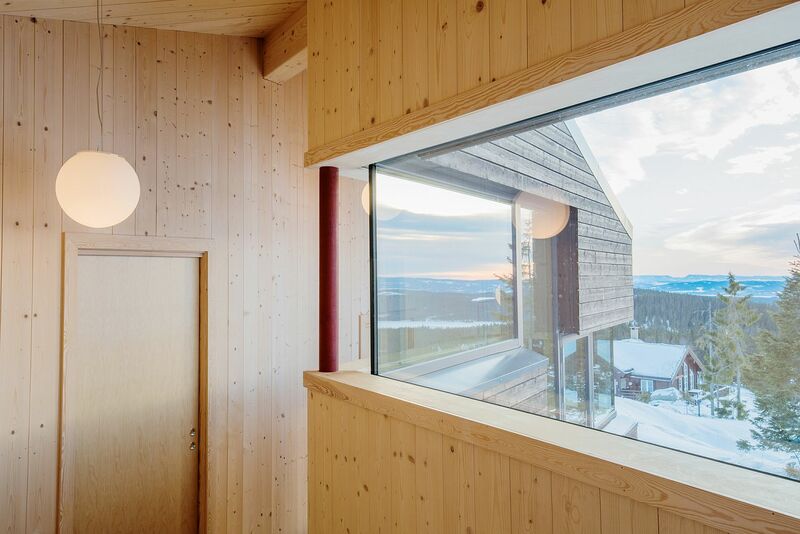 Beautiful and apt lighting fixtures along with pops of color put the final touches on this dashing getaway that takes you into the heart of Sjusjøen.